In India’s city of Mumbai, residents join a yearly lottery to get a chance to win a partly subsidised government home. As of the world’s and India’s most populous cities, some 1.52 million people joined the lottery, wishing they could be one of the lucky flat owners and have the chance to own a home this year. 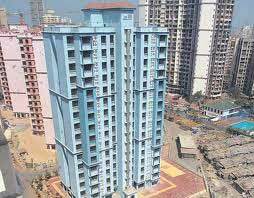 Nonetheless, the government-led Maharashtra Housing and Area Development Authority (MHADA) will only turn over some 2,593 flats. Thus, prior to the lottery on Tuesday afternoon, some 11, 179 application forms were rejected because of some alleged discrepancies in the bank account and other requirements set by the MHADA. The India Times Online reported that the list of the lucky application numbers, selected by a computer, are now being posted on MHADA office’s lobby and would also be made available on their official website http://mhada.maharashtra.gov.in/. Those, who will be selected will not only pay the full cost of the home, they will also pay a 1% service tax and a 3.09% VAT. The ownership of some 2,593 flats, located in different districts in Mumbai were made available for lower income, middle income and higher income groups. In 2011, some participants and winners to the lottery were found to have submitted false documents like fictitious bank account numbers and addresses. The lack of strict verifications in the submission of forms allows some window of discrepancies. It was discovered by an investigating committee last year that some applicants submit forms more than once to get a better chance of winning.